Want to get rid of acne overnight? Well, then, acne patches can be a smart solution. 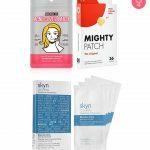 Acne patches are yet another K-beauty innovation and are similar to hydrocolloid bandages. 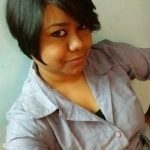 They are medicated and help in fast healing. 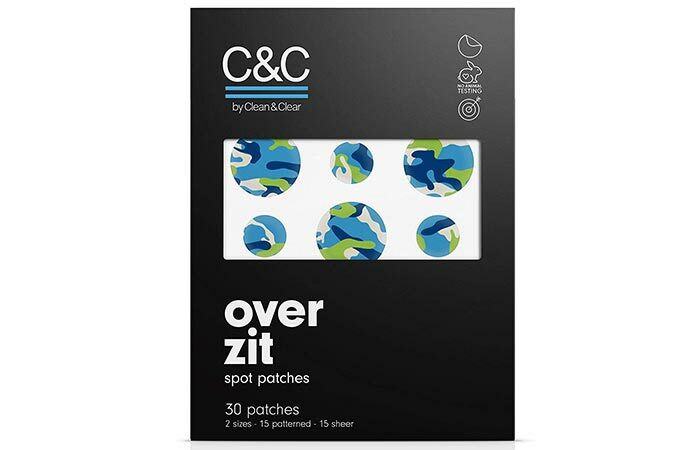 Regardless of how angry your acne is, an acne patch can work wonders. Ready to try one? 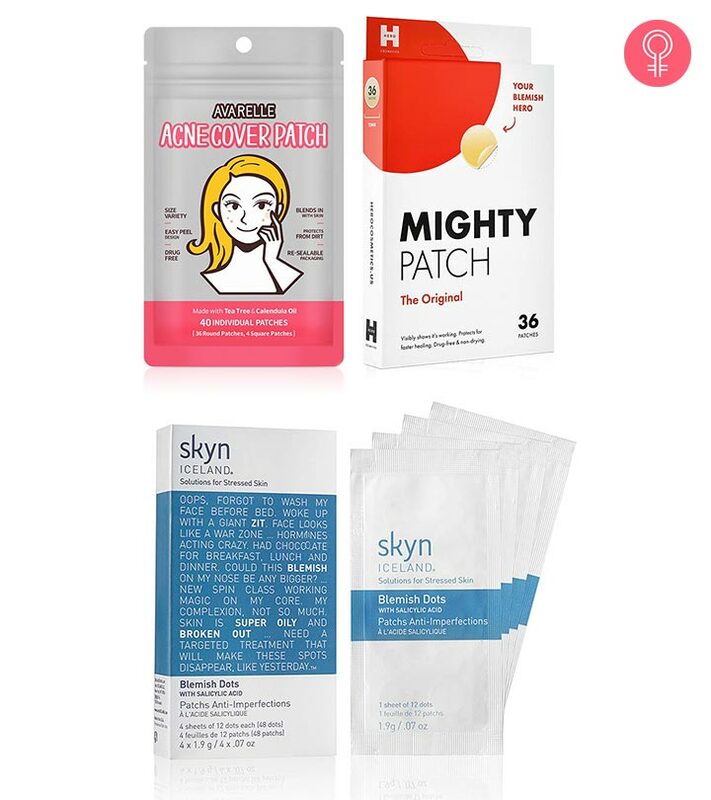 Check out this list of acne patches. 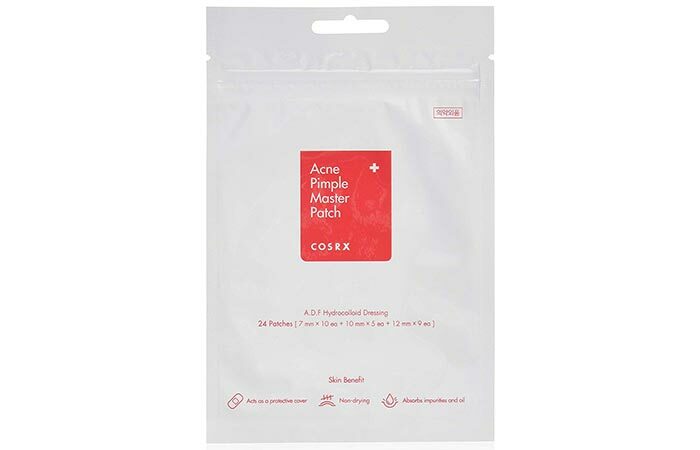 This is the most popular acne patch available right now. This hydrocolloid patch clings to the acne. So, no matter wherever you go and whatever you do, don’t worry about the patch falling off. It comes in 3 different sizes. It speeds up healing while maintaining the hydration of the affected area. These clinical patches appear almost invisible on your skin. They work like sponges and absorb the gunk, oil, and dirt from the area quite effectively. You can easily apply them at night and let them stay overnight without worrying about them falling off. These patches change color (turn white), so you know that they are working. These are small and translucent, so you do not need to worry about them looking bad on your face. 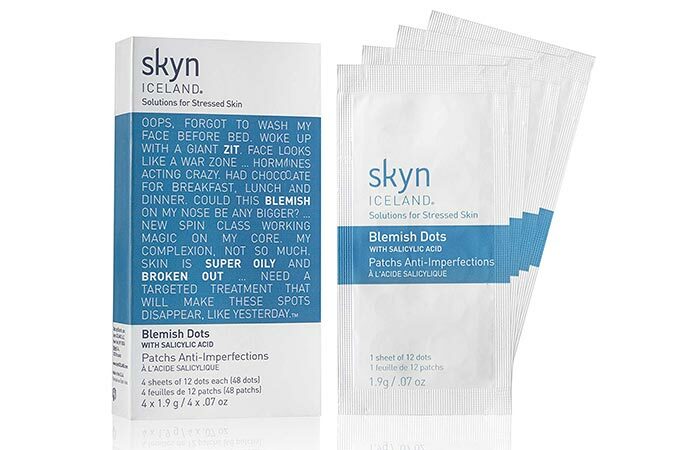 These fast-acting patches can absorb the pus and gunk from pimples and blemishes. They claim to reduce inflammation and leave your acne visibly smaller in just one day. Those who have used it swear by this product. This is an easy-peel acne patch that blends with all skin tones. It is available in four sizes. The largest square patch can adequately cover a bigger area on your skin. It contains tea tree oil and calendula oil that help in fast recovery. This hydrocolloid patch is ultra-thin, so you can put makeup over it. 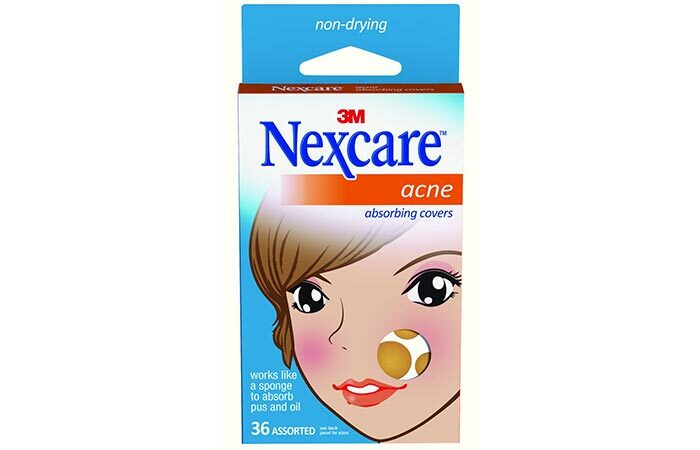 This is a rapid-heal patch that absorbs all the liquid discharge from your acne and prevents scarring. This product claims to work overnight and make your acne almost vanish by the next morning. 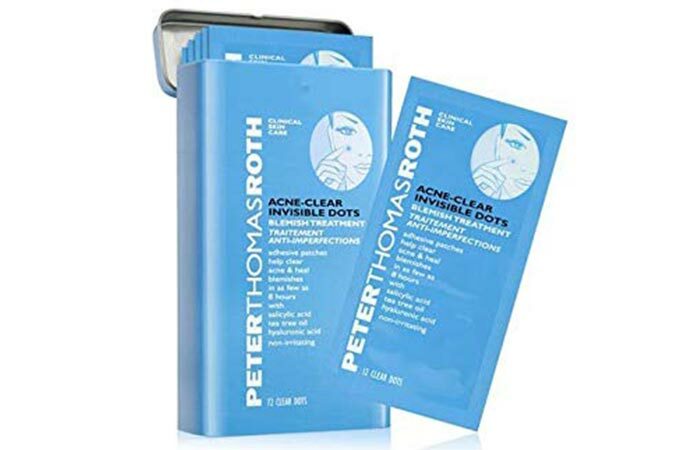 A pack of this product contains 36 acne patches. 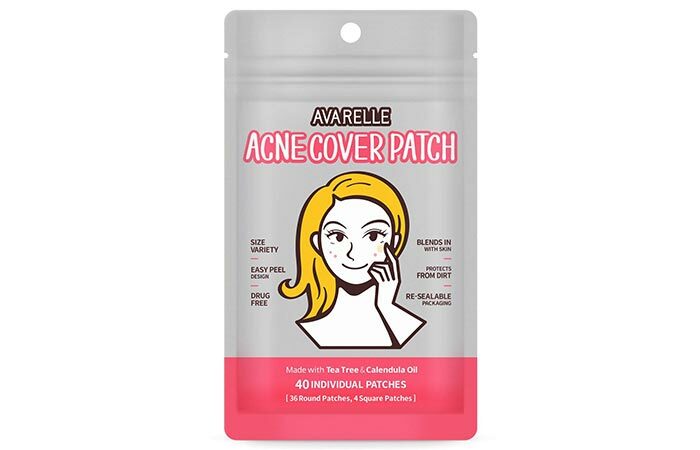 Each patch has a non-drying formula that absorbs pus and fluid from the acne and clears the area. It covers and protects the target area and ensures fast healing. The product claims to reduce blemishes overnight and is suitable for all skin types. 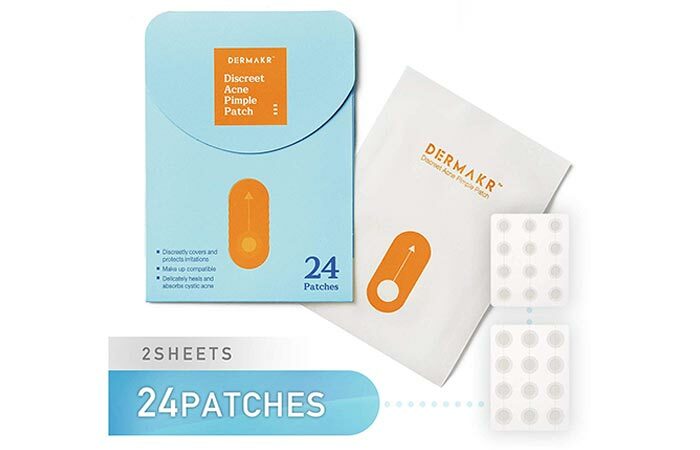 These single-use patches stick to your skin and are ideal for overnight use. 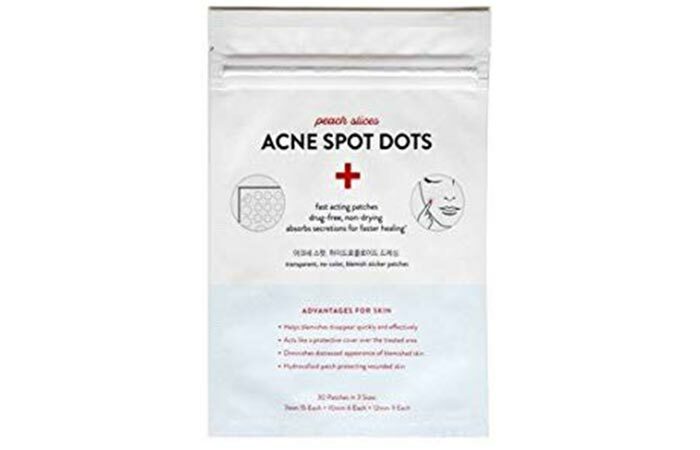 They contain salicylic acid and claim to clear your acne overnight. They clarify your pores and reduce blemishes as they contain blemish-fighting ingredients. They soothe irritation and shrink the acne rapidly, ensuring complete healing. This product is an extremely powerful pimple and acne fighter. The patches contain salicylic acid that sloughs away the dead skin cells, sebum, and pus from your pimples or acne. They also contain vitamin A, which helps in refining your skin’s texture once the acne or pimple is cleared. They also help in shrinking the enlarged pores and prevent any further breakouts in that area. This drugstore product comes in two designs. One has a patterned design, and the other one is meant for sheer coverage. 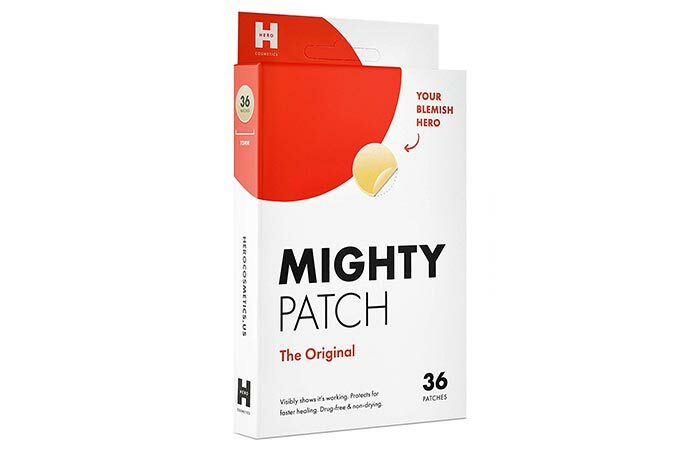 These hydrocolloid pimple patches keep your skin happy by reducing your pimples or acne. They clear the dirt and infection from the affected area and prevent blemishes. 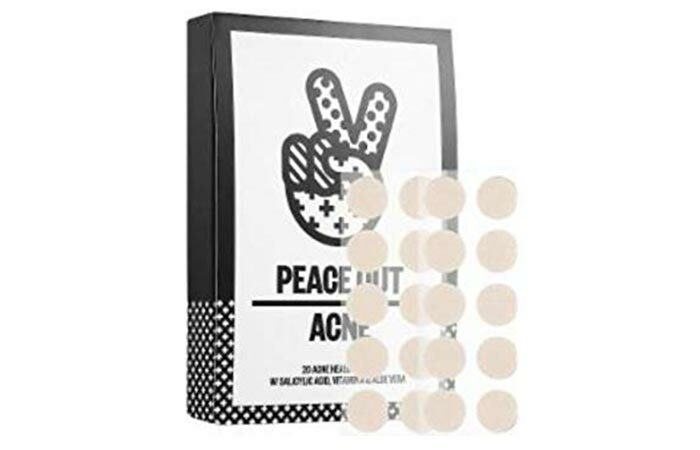 These acne patches contain 0.5% salicylic acid that treats acne and prevents further breakouts. It also contains hyaluronic acid that keeps the area moist and hydrated, tea tree oil that exhibits antibacterial effects, and volcanic ash that is a natural absorbent. The patches are extremely thin and almost invisible to the eyes. Placing a patch on your zit, going to sleep, and waking up – zapping the zit cannot get easier than this. These small patches are incredibly effective and oddly satisfying. Try one today, and, of course, do not forget to share your experiences. Until then, take care!